Opposed to my previous posting one can find evidence of kindness related to books and sharing the love of reading. A positive story to ensure it doesn't take much to make a difference. 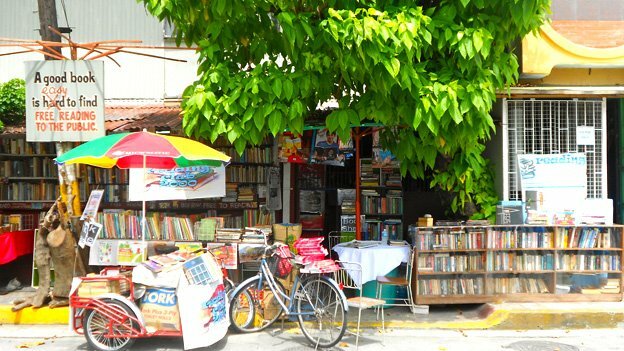 Read about Hernando Guanlao, a man in his early 60s, with one passion - books. They're his pride and joy, which is just as well because, whether he likes it or not, they seem to be taking over his house. "A book should be used and reused. It has life, it has a message.". So Guanlao set up an informal library outside his home in central Manila, to encourage his local community to share his joy of reading. "As a book caretaker, you become a full man." It only takes a man and some books to transform many lives.